The Matrix – a Hollywood movie released with two sequels as Matrix Reloaded and Matrix Revolutions together called the Matrix Trilogy is a very good movie and there is no doubt about it. But what one doesn’t know or was purposefully left by the directors of the movie was the hidden meaning behind the Movie. After watching the movie, most people are left with intriguing questions and some left with their own meaning of what the Matrix is. But why am I discussing a movie in this book/ Does it have anything to do with attaining Nirvana? Does it have anything to do with Buddhism? The answer is a definite yes. The movie is a good blend of Buddhist teachings and Computer concepts and a story of its own. A disclaimer here – The views and interpretation of the Movie is of the author alone and are not expected to match the view of the directors or any other person, though it is a good analogy for Buddhist teachings. The two worlds dominating the movie are the Matrix and the Zion. Matrix: The Matrix is a software world, powered by human beings, who are used as batteries to run the Matrix. All the human senses are emulated by the software called Matrix, which makes them feel the virtual world is real. Everything in the Matrix is a program. The birds (all animals), all events, the environment, etc are all programmed software. The Matrix represents our world of sense pleasures. Our world like the Matrix is bound by Ignorance. We like the people in Matrix are unable to see the reality as it is. Our world like the Matrix is conditioned, conditioned by the mind to be real and permanent, which in reality is impermanent, and lacking in substantialness and bound to deliver Dukkha. Zion: The real world (in the movie Matrix). The human beings trapped in the Matrix are freed by the residents of Zion. Morpheus rescues Neo from the Matrix as he believes that Neo will be able to rescue all the people from the Matrix. The Zion represents the Community of Monks/Buddhists called Sangha. The Arahants and the members of the Sangha try to liberate the laymen with Buddha’s Teachings (Dhamma), from the world of sense pleasures which is bound by dukkha. Neo: An Acronym for The ‘One’ who will free all the people from the Matrix. Mr. Anderson in Matrix and called Neo in Zion. He is a Hacker in Matrix with inquisitive mind and encouraged by Morpheus to understand the Matrix. He gains understanding of the Matrix, which gives him more control and power in Matrix and he is even able to fly freely in Matrix. Neo is an analogy for the Buddha [The Enlightened/Awakened ‘One’]. Buddha understood the world of Samsara, the Dukkha and became free from the world of Samsara to attain Nirvana. It can be observed that Neo represents the future Buddha – Maitreya. Morpheus: Morpheus is a resident of Zion with very strong beliefs. He believes that Neo can saves the lives of those in Matrix. He is ready to give is life and limb to save Neo so the all the people in the Matrix can be freed. Here Morpheus represents a Bodhisattva, who is ready to give his life and limb for the benefit of others. Also Morpheus is bald which shows his association with Buddhist monks. The Architect: The Matrix is programmed by the Architect, who in turn is also a software program and part of Matrix. The Architect represents the world of Gods – the great architect of the Universe. The Oracle: The Oracle also represents Deva Loka. She knows the future and understands the Matrix and its workings, but doesn’t have much control on it. Merovingian: Merovingian is a person with huge amount of money and power. He trades in information. Even though he has a lot of money and power he wants more money and more power. Merovingian represents the world of Titans who fight with each other and the Gods for more power and status. The Twins: Has the ability to pass through Material Objects. They represents the world of Hungry Ghosts. Birds : The birds in Matrix are programs similar to programs written for sunrise and sunset …. The birds in Matrix represents the animal world. They have consciousness, but lack understanding and knowledge. Morpheus: The Matrix is everywhere. It is all around us, even now in this very room. You can see it when you look out your window or when you turn on your television. You can feel it when you go to work, when you go to church, when you pay your taxes. It is the world that has been pulled over your eyes to blind you from the truth. Here Morpheus refers to the nature of Samsara or the world of sense pleasures, that blinds us from observing the truth. Morpheus: Unfortunately, no one can be told what the Matrix is. You have to see it for yourself. Morpheus here speaks of Nirvana. It is very difficult to explain Nirvana. You have to experience it yourself. Morpheus: Is it really so hard to believe? Your clothes are different. The plugs in your arms and head are gone. Your hair has changed. Your appearance now is what we call residual self image. It is the mental projection of your digital self. Here Morpheus speaks of the mind and body duality, we saw in the chapter Dependent Origination. Morpheus:What is real? How do you define real? If you’re talking about what you can feel, what you can smell, what you can taste and see, then real is simply electrical signals interpreted by your brain. This is the world that you know…. You’ve been living in a dream world, Neo. Here again Morpheus speaks of the nature of Samsara, the world as we see with our limited faculties of senses – the Six Senses and interpreting it as real or permanent. Morpheus : When the Matrix was first built, there was a man born inside who had the ability to change whatever he wanted, to remake the Matrix as he saw fit. It was he who freed the first of us, taught us the truth: ‘As long as the Matrix exists the human race will never be free.’ After he died the Oracle prophesied his return and that his coming would hail the destruction of the Matrix…. That is why there are those of us who have spent our entire lives searching the Matrix looking for him. Here Morpheus refers to Gautama, the Buddha, who freed the first of us from suffering, from dukkha. The Buddha taught us the Four Noble truth. After his death it is prophesied that a future Buddha, Maitreya, having deep compassion and incomparable love for all living beings would come into existence. A lot of Buddhist countries are searching for Maitreya – The future Buddha. Morpheus: I’m trying to free your mind, Neo, but I can only show you the door, you’re the one that has to walk through it.…. You have to let it all go, Neo, fear, doubt, and disbelief. Free your mind. Here Morpheus speaks of the Noble Eight Fold path, that has to be followed by each one for himself. He also speaks of freeing our mind through meditation and awareness. Morpheus: The Matrix is a system, Neo. That system is our enemy. But when you’re inside, you look around. What do you see? Business people, teachers, lawyers, carpenters. The very minds of the people we are trying to save. But until we do, these people are still a part of that system, and that makes them our enemy. You have to understand, most of these people are not ready to be unplugged. And many of them are so inert, so hopelessly dependent on the system that they will fight to protect it. Until people are aware of Nirvana, aware of the three universal truth of impermanence, not self and Dukkha, they are inert and do not want to be unplugged or want to remain in the world of sense pleasures. They also expect you to enjoy the world of sense pleasures. Thus, they will prevent you from attaining Nirvana. Cypher: You know, I know this steak doesn’t exist. I know that when I put it in my mouth, the Matrix is telling my brain that it is juicy and delicious. After nine years, you know what I realize? Ignorance is bliss. Even those who know the Buddha’s teachings are so attracted to sense pleasures that they don not want to leave it. They would prefer to remain ignorant and remain in the endless cycle of Samsara. Spoon boy: Do not try and bend the spoon. That’s impossible. Instead only try to realize the truth….Then you’ll see that it is not the spoon that bends, it is only yourself. You need to realize the three universal truth of impermanence, not self and dukkha. We see unsatisfactoriness or suffering in the world, while unsatisfactoriness exists within ourselves by not realizing the truth. Morpheus: Neo, sooner or later you’re going to realize, just as I did, that there’s a difference between knowing the path and walking the path. Here Morpheus speaks of following the Eight Fold Path. While most people know the Eight Fold Path and some are even experts in Buddhist philosophies, very few actually follow the path. 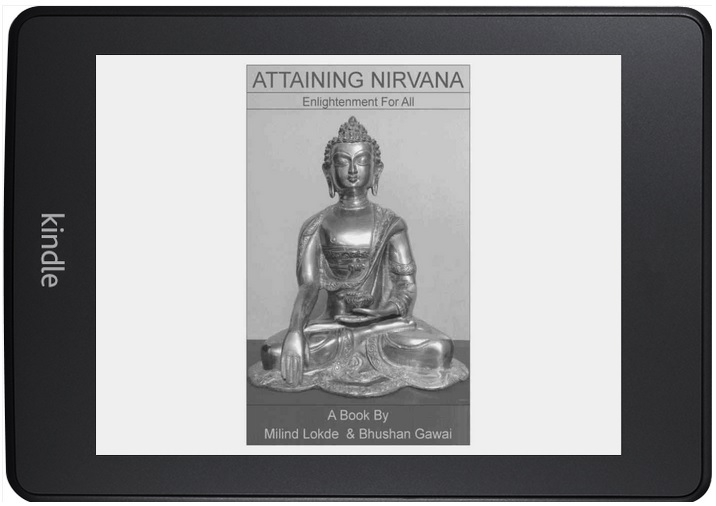 Only by following the path can Nirvana be attained. this film can also be seen in the mirror of upenisidic doctrine of hinduism from where the conceot of ‘maya'(illusion ignorence) is taken. You are right abhishek. True to it’s title ‘The Matrix’, the movie has many dimensions – Buddhism, Hinduism, Christianity, Computers & Greek Mythology. There may be more dimensions too. It is left for you to find and present. This may be the reason, the makers of the Movie have kept silence over it’s interpretation. Definitely not. Hinduism is vast, like Buddhism. It started from the yogis, who knew a lot about life and humans and all the world. It was later modified by men of lesser understanding and more influence for personal gains. Same is the case with some more religions too. Buddhism and Hinduism share things. The concept of “Maya” in Hinduim is have some same kind of characteristics like the Buddhist concept “Bawa”. But buddhist way of looking at this Bawa has a unique difference as it tries not to accept the illusion while it says it rejects the fact that there is nothing. In Buddhist literature there is a story that When Bosath (Buddhas prev. Life ) looked for five factors when he’s deciding his birth. Time , Country , area , cast and mother. No wonder he choosed India in that time period. Since most of the supporting concepts like this was developed in that era. And people were looking in to them self to find the solution by mediation. Since the admin of this website is working, no hesitation very shortly it will be famous, due to its feature contents.